Is there a better alternative to Stacks? 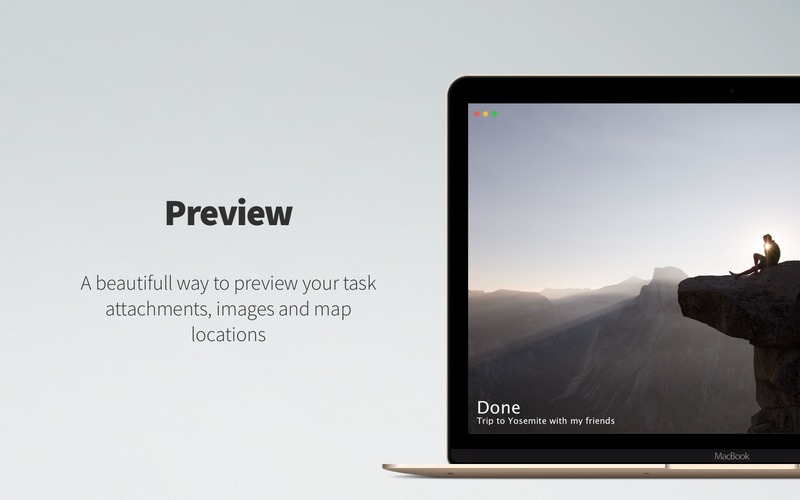 Is Stacks really the best app in Productivity category? Will Stacks work good on macOS 10.13.4? 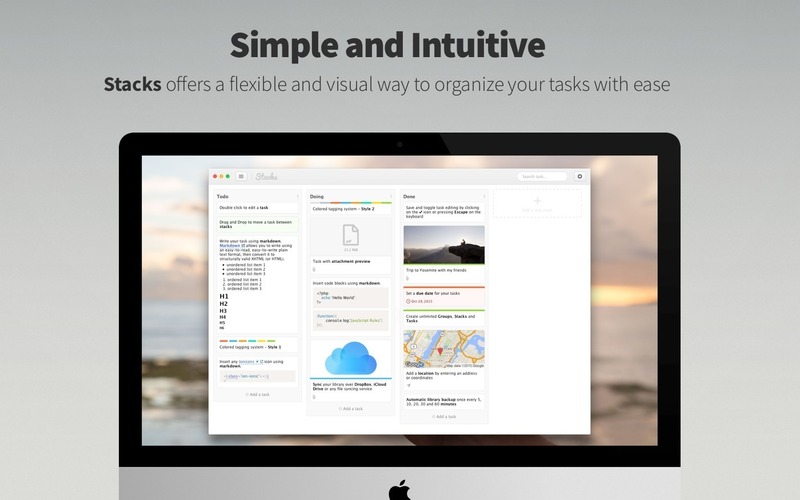 Stacks is an easy-to-use task manager that helps you organize your tasks in an elegant and intuitive way. 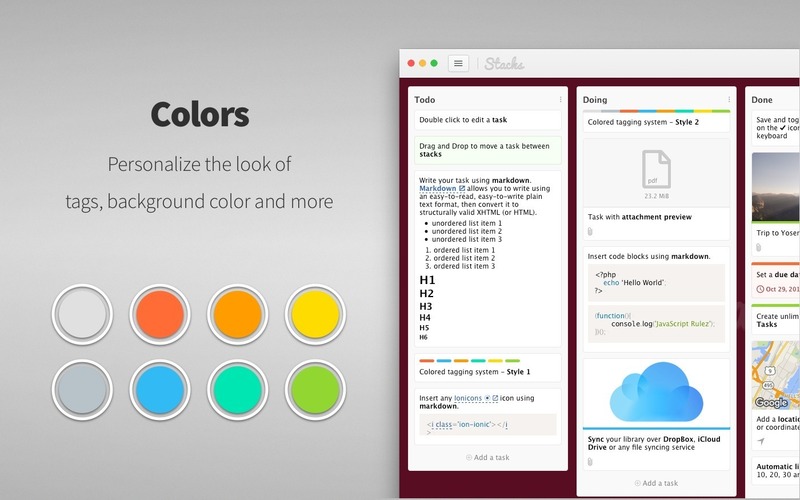 Using the kanban paradigm for managing your projects, Stacks offers a flexible and visual way to organize your tasks with ease. 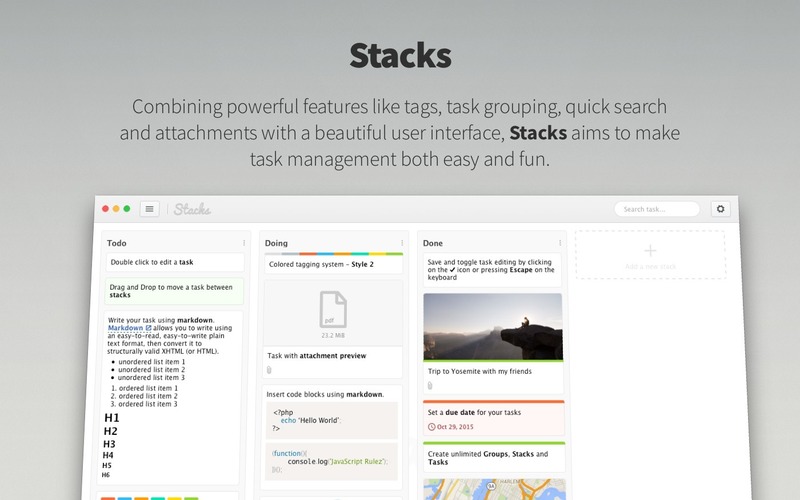 Combining powerful features like tags, task grouping, quick search, and attachments with a beautiful user interface, Stacks aims to make task management both easy and fun.